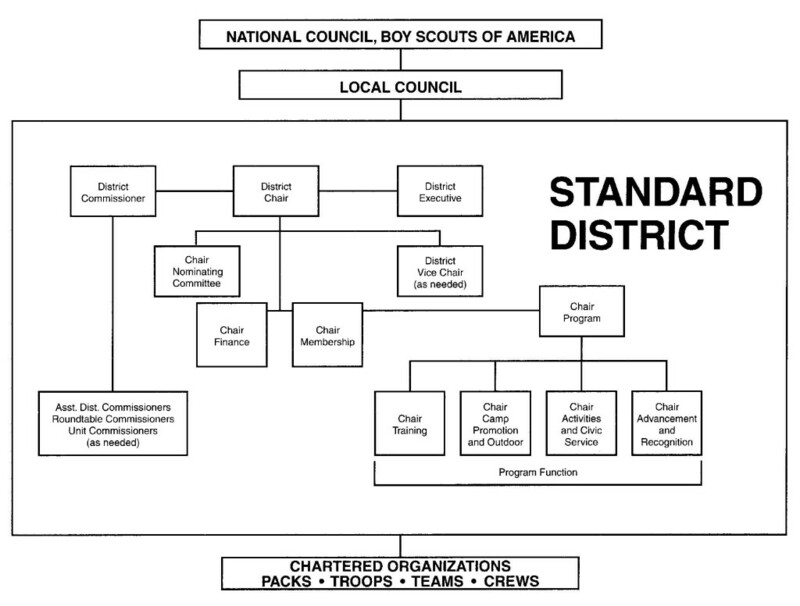 Most local councils of Boy Scouts of America are usually divided into administrative units called districts. 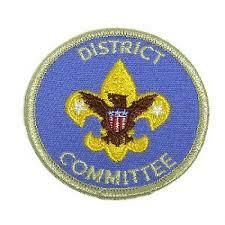 These district support local scouting units. District Commissioner Corps - is a staff of Unit Commissioners that provide direct support and advice to each local scouting unit. They ensure that the unit is functioning properly and help them get access to all appropriate scouting resources from National and Council. District Committee is overseen by the District Chairman. Together they plan activities to assist local scouting units with Membership, Fundraising, Activities, Training, Camping and adult recruitment. District Roundtable usually meets once per month. Roundtable provides supplemental training for volunteers at the unit level. The objectives of roundtables are to provide leaders with program ideas, information on policy and events, training opportunities, and an enhanced network of contacts and other resources while also providing unit leaders with a voice in formulating direction at the district level. The district could coordinate a number of activities each year. This page was last edited on 30 August 2018, at 22:20.